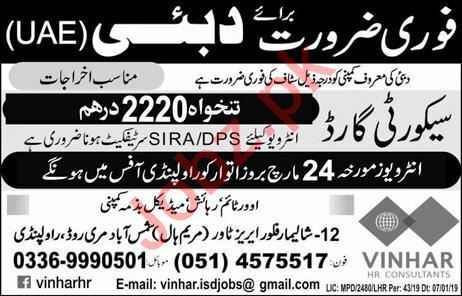 Vinhar HR Consultants is looking for highly experienced candidates for the posts of Security guards for Dubai, UAE. Candidates with any security course or diploma will be given preference. Interested candidates can contact on given details for more information. You can apply online at vacancy after registering at http://www.jobz.pk site.